A system of land tenure, known as Jamma, was formerly instituted in Kodagu during the pre-colonial Paleri Dynasty of the Lingayat Rajas . Jamma agricultural lands (generally reserved for wet-rice cultivation) were held almost exclusively by Kodavas as a hereditary right, and were both indivisible and inalienable. Importantly, rights over the adjacent forests (bane) were also attached to Jammatenure, such that relatively expansive agricultural-forestry estates have remained intact across Kodagu. The exclusion of plantation crops, such as coffee, from India’s Land Ceiling Act has further insulated these holdings from postindependence land reform efforts across India. Importantly, rights over the adjacent forests (bane) were also attached to Jamma tenure, such that relatively expansive agricultural-forestry estates have remained intact across Kodagu. A unique feature of Jamma tenure is that tree rights remained with the Rajas, and were subsequently transferred to the colonial and post-independence governments and remains an import determinant of land use practices in the district. Ever since Kodagu, which was a “C” State after Independence, was integrated with the then Mysore State, now Karnataka, in the year 1956, the original inhabitants of Kodagu, with the majority ethnic group Kodavas after whom the name Kodagu is apparently derived, including Amma Kodavas, Kodagu Gowdas etc., and the tribals with their own land tenure, specially Jammma Bhoomi, have been pestered by four major problems. One is about Jamma land holdings. Second, the land owners right over trees. Third, the recommendation by the Committee to declare Kodagu as a deemed forest area and fourth one is the delimitation of the Parliamentary and Assembly Constituencies of Kodagu by the Delimitation Commission. All these four issues directly affect the original inhabitants of Kodagu to an extent that there is a danger of disintegration of Kodagu as a geographical entity that existed for centuries, even before the Lingayat Rajas and later the British, came to rule Kodagu. Though many promises were made about protecting the political and property rights and privileges of Kodavas and other original inhabitants of Kodagu by the Karnataka government at the time of integration, the conduct of the subsequent governments belied all those promises. Take for example, the Jamma Bane holdings. The government has been issuing notifications that questioned the rights of Jamma holders contrary to what has been held as their absolute property except to the condition that in case any Jamma holder wants to alienate or sell the property, he should do so only to another Jamma holder and that too after obtaining permission from the then Commissioner of Coorg (later the Deputy Commissioner) paying a Nazrana, a fee to the government, decided as per set norms. This is the most far - sighted and wise law set down by the Lingayat Rajas and followed by the British as they realised its beneficial effects, both on the geography and the original inhabitants of Kodagu. The reason for adopting this kind of land tenure can be traced to the early days of Kodagu, which was a thickly forested highland with hills, valleys, and heavy rainfall, which would touch 300 inches in certain areas, pouring almost for six months in a year from May to October. As a result, Kodagu was a place infested with malaria and wild animals. People were afraid not only to settle down in Kodagu as agriculturists but also afraid even to go to Kodagu as laborers. It was noticed by the Rajas that people were even abandoning their land and going away to the planes. This would not only affect the revenue to the Palace (the government) but there was a danger of not getting enough soldiers for the King's army. It was under these circumstances the King came up with a new kind of land tenure in the form of reward for military service and incentive for the inhabitants to remain in Kodagu. With the kind of restrictions put on the Jamma holdings the land owners were prevented from selling their land and going away. However, the exemption and concession in land revenue on these Jamma holdings made the land owners to stay back in Kodagu taking in their stride the hazards of living in a land infested with malaria, heavy rains and wild animals. History says when Tippu Sultan was killed in the last Mysore war hundreds of Konkan Christians fled Srirangapatna back to Mangalore and Kharwar via Kodagu. The then King Doddaveera Rajendra requested them to remain in Kodagu by granting Jamma lands. That's how there are many landholding Jamma Christian families in Kodagu. 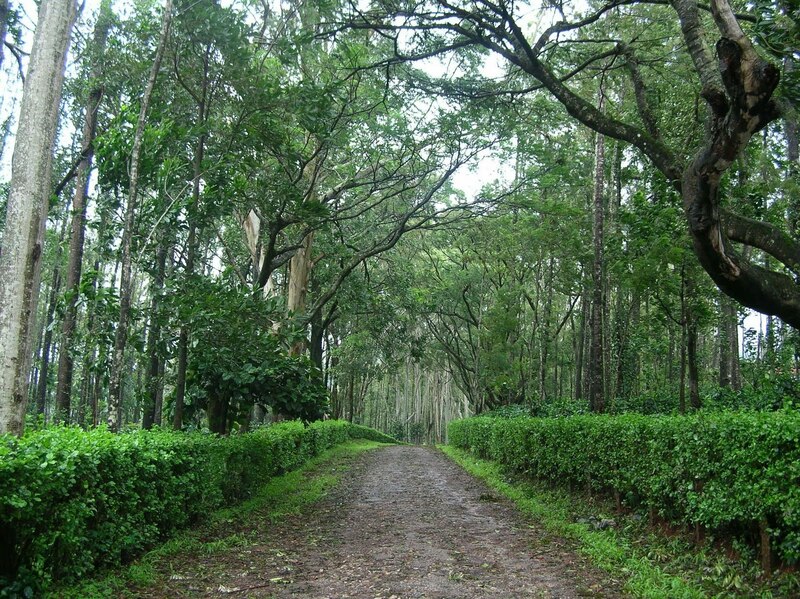 With the advent of the British (1834) Kodagu was opened up for coffee plantation and the living conditions improved. All the same the British thought it wise to respect the Jamma and other land holdings enjoyed by a large number of Kodavas and others with pride. This has indeed helped Kodagu to remain, to a large extent, in the hands of Kodavas and other original inhabitants till now. However, a few years back a case was filed in which issues relating to the Jamma tenure and the right to alienate such property to whomsoever one liked were discussed and even a court verdict had emerged upholding sale of Jamma property to non-Jamma holders and get the khatha transferred to the buyer's name. Subsequently government issued a notification claiming Jamma land to be the property of the government with the owner having only the right to cultivate without any rights for the standing timber and minerals. This again created anxiety among the Jamma property owners. It is indeed disturbing that even to this day neither the government nor the holders of Jamma property really know each other’s rights and privileges in this regard. In a place like Kodagu families with distinct names with a common house (Ayn house) surrounded by a cluster of houses, cultivating their landed property of Jamma and other tenures live in peace, homogeneously, with a common culture, language, custom and celebrating festivals, having their own temples. If any member is allowed to sell the property to an outsider who may belong to another religion, another caste and community, speaking a different language, there is bound to be some sort of disturbance to peace and harmony at some time or the other with recurring frequency. Not that such a situation does not exist now but it is rare and only in few places. If Jamma tenure is abolished and the properties are turned into free holdings, indeed there is a danger of many selling their property to outsiders and leaving Kodagu for good. If this trend continues, after a period the demography of Kodagu will change so also its geography. As it is, lot of landed property is changing hands from the locals. What with Kodagu being considered a tourist destination and a number of Holiday Homes and Holiday Resorts mushrooming all over Kodagu. Soon it will be a Kodagu without Kodavas, the major ethnic group and other indigenous groups. 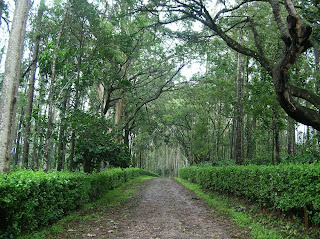 Kodava is a community, which has its origin in Kodagu. Just as what Punjab is for Punjabis, Kashmir is for Kashmiris (including Kashmiri Pandits), so is Kodagu for Kodavas. The State and Central governments should protect the Kodavas and help them to stay in the present defined geographical area where they really belong. If Jamma property rights are abolished Kodagu will not be there for Kodavas and other original inhabitants numbering about 20. Incidentally, there is a school of thought in Kodagu that belives this Jamma land tenure is a great impediment in developing the plantation and the land. Reason: The financial institutions, banks and Credit Co-operative Societies, do not advance or lend money on the security of Jamma land, as its owners are not absolute owners in the eye of law. If this is so, the government may take remedial steps to remove this hurdle in the new Land Reforms Act likely to be enacted soon. However, there is some hope now that the District in - charge Minister Ramachandra Gowda has said recently that Kodagu would get Jamma rights in the new Land Reforms Act. Some hope this to save Kodagu for the locals. The other issue relates to the land owners' right to the standing trees. Here there are two categories of land — redeemed and unredeemed. If the owner has already paid the fee for felling and selling the trees it is redeemed. If it is not redeemed he has to apply and obtain permission by paying the required fee whatever. It is here the Forest Department is giving hell to the tree owner and it is here one may find the cesspool of corruption. Even to cut a tree to build one's own house is impossible and can be made possible only with bribe. Even genuine cases are not considered suspecting the intention of the owner. However, if bribe is paid the suspicion disappears. The law regarding the standing trees in Kodagu on private lands indeed needs a re - look. To add insult to injury there is now a move to declare Kodagu as a deemed forest area inviting, with such declaration, all the legal restrictions and natural difficulties in cultivating plantation crops like coffee, cardamom, pepper, orange etc. There is an apprehension if it would be possible to cultivate these commercial crops in a manner that would give maximum or optimum yield if the trees are not allowed to be cut or trimmed for maintaining the required shade. It is hoped with such a declaration as 'deemed forest area' the residents are not forced to relocate themselves from Kodagu just as the tribals are being relocated from the reserved forests of Kodagu! Now let us turn our attention to the danger of liquidation of Kodagu as a geographical and administrative entity by the Delimitation Commission headed by Justice Kuldeep Singh. Who knows this may be a prelude to the disappearance of Kodagu as a district in time to come. According to reports, Kodagu will have two MLAs instead of the present three. There was no independent MP for Kodagu ever since it was integrated with Karnataka in 1956. It was made part of the Mangalore Parliamentary constituency. Now the Kuldeep Singh Commission says Kodagu will have only two Assembly constituencies, Madikeri and Virajpet. The present Somwarpet constituency will be merged with Madikeri constituency. And the two Assembly constituencies will go to the newly created Mysore West Lok Sabha constituency and not the present Mangalore constituency. This kind of division of constituencies has left people wondering if there is a political game plan to erase Kodagu, even as a district, from the map of Karnataka. People apprehend this to be a prelude to future liquidation of Kodagu as an independent entity with its own geographical and administrative boundaries. It is almost like a big fish swallowing the small fish. However, in a true democracy, in a pluralistic society like ours, the peoples' representatives should be selected not merely on the basis of the number of people residing in a given area but also by according representation to indigenous ethnic groups with their own distinct culture and language, living in areas like Kodagu. Malaysia model, which is working very well, is a good example here. If the issues mentioned above are not deliberated in a rational and humane manner and negotiated with the State and Central governments by the people affected, the Kodavas and other indigenous groups living in Kodagu will not only lose their land but also their identity. If proper protective steps are not taken by the Kodavas and other indigenous groups in Kodagu, in the next 20 years Kodagu will become the playing field for outsiders to selectively deforest the land and turn it into a destination for holiday resorts and holiday makers. There seems to be a conspiracy. The idea of declaring Kodagu as an area of "Deemed forest" will help this tourism industry entrepreneurs immensely but not the farmers and planters. If it happens, Kodavas could be seen only in some museums with live models dressed in their traditional attire — like the Red Indians in some American museums. The tragedy of Kodagu is the crisis of leadership and division of opinions amongst the stakeholders. It could be for reasons of individual self-interest, for reasons of caste or simple machination by immigrant traders, entrepreneurs and laborers who have no sentimental bond towards Kodagu. So the new slogan for Kodagu should be, sons of the soil wake up and unite now. You have everything to lose if you do not. Tomorrow it may be too late. Very informative and well written.. Thanks for sharing the knowledge..